"Before, I denied that I liked them. There was no other way. I wanted to earn a living. And now they are more like comrades." "I can tell you as a former animal farmer that while it may be true that you can treat a farm animal kindly and show tenderness toward them, mercy is a different matter." But while it may be difficult, it is not impossible. The following profiles are hope-filled proof that even those who stand to lose most by renouncing animal exploitation are frequently brave enough, and caring enough, to do so. You can learn more about Hof Butenland at their website and in the film, Live and Let Live, a powerful new documentary exploring our relationship with farmed animals, the history of veganism, and the ethical, environmental, and health reasons that motivate people to go vegan. You might also remember Hof Butenland as home to the world’s happiest cow. 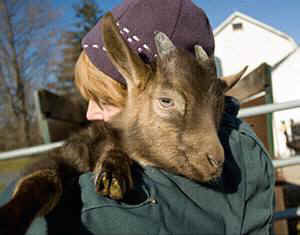 Cheri Ezell was working as a goat milk farmer when she met her husband, Jim Vandersluis, a dairy farmer. “One day I entered the barn while he was milking and noticed an obviously ill calf. When I questioned what would happen to her, he told me regardless of the calf’s illness, she would be sent to a livestock dealer where she would be sold for meat. I learned that dairy cows have to be bred every year in order to continue to produce milk, and how their calves are taken from them shortly after birth–they’re lucky if they get colostrum from their mom, which is the first milk that is important for their survival. While some of the calves are kept as replacement heifers, most of them are sent to slaughter or the veal operations, which is a very short life, and not a happy life. In time, our consciences would not allow us to continue milking our cows for the purpose of producing dairy products. Instead, we increased the goat herd and began to sell goat milk. I thought, perhaps this was an alternative — I could have the animals and I could have the milk, and the babies could go for pets… But we still had to make a living, and I soon realized I couldn’t possibly make enough money from the amount of milk that I was producing and then have the babies go for pets. There were just so many babies, every year you have to have babies. And not very many people are interested in buying goats as pets. In certain communities, it’s tradition to have baby goat meat during the Easter holiday. So our farm was overwhelmed every Spring by people looking for baby goats. We would weigh the 25-35 pound kids, and the customers paid. They were then hogtied and literally thrown into a trunk or the back of a pick-up truck like a piece of luggage. Jim soon was saying, “I will carry the goat,” and he would gently put the goat into their vehicle. One day we were standing by the gate of the goat barn, listening to one of our baby goats being driven away, crying in the trunk of the car. It was at this horrific moment that Jim and I looked at each other with tears in our eyes and began our journey to a no-kill life. — Read Cheri’s full account of her and her husband’s transition to veganism and animal activism here. You can also follow their story in the documentary, Peaceable Kingdom: The Journey Home..
Lyman has written two books, Mad Cowboy: Plain Truth from the Cattle Rancher Who Won’t Eat Meat and No More Bull! The Mad Cowboy Targets America’s Worst Enemy: Our Diet.. He also maintains an educational website, madcowboy.com. Howard Lyman’s life and work are also the subject of Mad Cowboy: The Documentary, and his story is featured in Peaceable Kingdom: The Journey Home. “When I think about the debate surrounding the ethics of eating meat, I often wonder why it is so difficult for meat eaters to admit that killing animals (to eat their flesh) is unethical? Truly, I cannot think of one sound ethical argument in favor of slaughtering animals for their meat. As a pig farmer, I live an unethical life, shrouded in the justificatory trappings of social acceptance. There is more, even, than simple acceptance. There is actually celebration of the way I raise the pigs. Because I give the pigs lives that are as close to natural as is possible in an unnatural system, I am honorable, I am just, I am humane, while all the while behind the shroud, I am a slaveholder and a murderer. Looking head on, you can’t see it. Humanely raising and slaughtering pigs seems perfectly normal. In order to see the truth, you have to have to look askance, just like a pig does when it knows you are up to no good. When you see out of the corner of your eye, in the blurry periphery of your vision, you see that meat is indeed murder. Comis recently became an ethical vegetarian and told me he fully intends to go vegan. 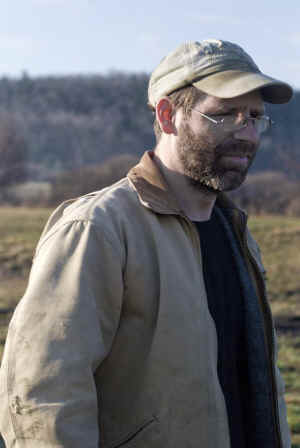 In the midst of a major life transition, he is converting his farm to a vegetable farm, and now publishes widely on the question of eating animals. You can read his critique of humane slaughter here. 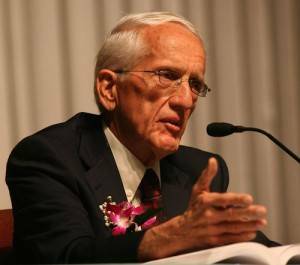 Dr. T. Colin Campbell is an American biochemist whose research focuses on the effects of human nutrition on long-term health. Because his emphasis is nutrition science, he does not use the term vegan but rather advocates for a 100% plant-based diet, stressing the empirical basis for his position. However, his trailblazing work has been hugely influential in leading thousands of people down the vegan path, and in solidifying the case that humans can easily thrive on a whole foods plant-based diet. With his son, Dr. Campbell co-authored the international bestseller The China Study, based on his findings from a 20 year research project conducted under the auspices of Cornell University, Oxford University and the Chinese Academy of Preventive Medicine, and described by The New York Times as “the Grand Prix of epidemiology.” The China Study examines the relationship between animal product (meat, egg and dairy) consumption and chronic illnesses including heart disease, diabetes, breast cancer, prostate cancer, and colon cancer. Based on their analysis of diet and disease rates in thousands of people in rural populations of Taiwan and China, Dr. Campbell concludes that people who eat a whole food, plant-based diet—excluding all animal products—can avoid, reduce, and in many cases reverse the development of numerous illnesses, including most of the leading fatal Western diseases. 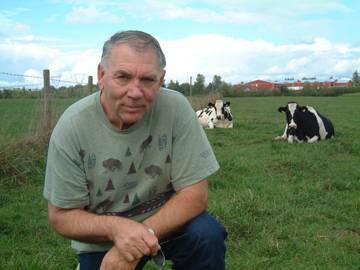 “I was raised on a dairy farm milking cows until my graduate student days in nutrition at Cornell University. For my doctoral research I investigated, in effect, how to make the production of milk, meat and especially animal protein more efficient. Later, it was on to Virginia Tech’s Department of Biochemistry and Nutrition and my coordination of a State Department funded project designed to organize a nationwide program of improving the health of malnourished children in the Philippines, especially to insure a good source of protein, preferably ‘high quality’ animal based protein. But I was greeted with a surprise. The few people who were consuming protein-rich diets were more susceptible to primary liver cancer… My associates and I then embarked on a basic research program to investigate this surprising effect of protein feeding on cancer development. Supported entirely by public money – mostly from NIH – we explored in depth over the next 27 years various characteristics of this association. We needed to confirm this observation, then determine how it worked. We did both. The results were profoundly convincing and, along the way, they illustrated several fundamental nutrition and cancer principles. Tumor growth could be alternately turned on and off by feeding diets containing higher and lower levels of dietary protein, respectively. Dietary protein promoted tumor growth but only at dietary levels above that needed for good health (ca. 10% of total energy). Although dietary protein did not initiate cancer, it enhanced initiation and, more importantly, promoted tumor growth. The protein effect could be explained by multiple biochemical mechanisms, appearing to act in synergy. The dietary protein having this tumor promoting effect was casein, the principle protein of cow’s milk. Two plant-based proteins, soy and wheat, did not promote tumor growth–even at the higher level. The casein effect on tumor growth very likely extends to other animal proteins as well. Based on the criteria used by the government’s program for determining whether chemicals are carcinogenic, casein is very likely the most relevant chemical carcinogen we consume. However, I question studies that are focused on single agents and single events because they are usually missing the larger context. Thus, we sought that larger context within which casein, perhaps animal protein in general, relates to human health. An opportunity arose for us to conduct such a study among human subjects in rural China where various cancers were geographically localized and where diets contained relatively small but varied amounts of animal based foods. In seeking this larger context in this nationwide study, we learned – from multiple perspectives – that relatively small amounts of animal based foods (and/or the lack of whole plant based foods) nutritionally conspire to cause degenerative diseases like cancer, cardiovascular and other diseases commonly found in the United States and other highly industrialized countries. To learn more, check out the book, The China Study, or visit The China Study website.. You can also stream the life-changing documentary Forks Over Knives, inspired by the work of Dr. Campbell. 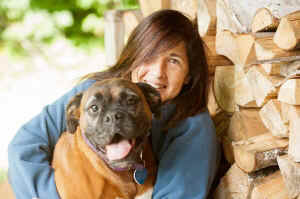 Read an interview with Helen Peppe at VeganPublishers.com. Check out her photography and learn more about her writing at Helen Peppe.com.